In December Ravenhall team decided to raise money for Andys Man Club through a “Parcel Tax” initiative, colleagues who had parcels delivered to work in the run up to the Christmas period had to pay a contribution to the charity. This year Ravenhalls team chose its Christmas Charity – Andys Man Club. Andy’s Man Club is a space for men to talk about their problems without judgement or feeling like a burden. What started as a small support group in Halifax has ballooned into a Facebook group of thousands, with more clubs to be set up across the UK. 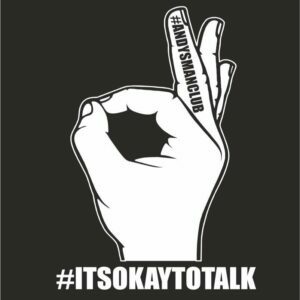 The associated campaign, #itsokaytotalk, has drawn support from prominent celebrities and the group is helping hundreds of people in West Yorkshire and beyond.